It’s Winter Time: Prepare Your Irrigation System! November has almost passed and december is approaching and bringing chills. Temperature is dropping as the time is passing and for most of the households in United States it is a time to close the gardens for the season. And it will be shut till the time spring provides a more cooperative growing environment. 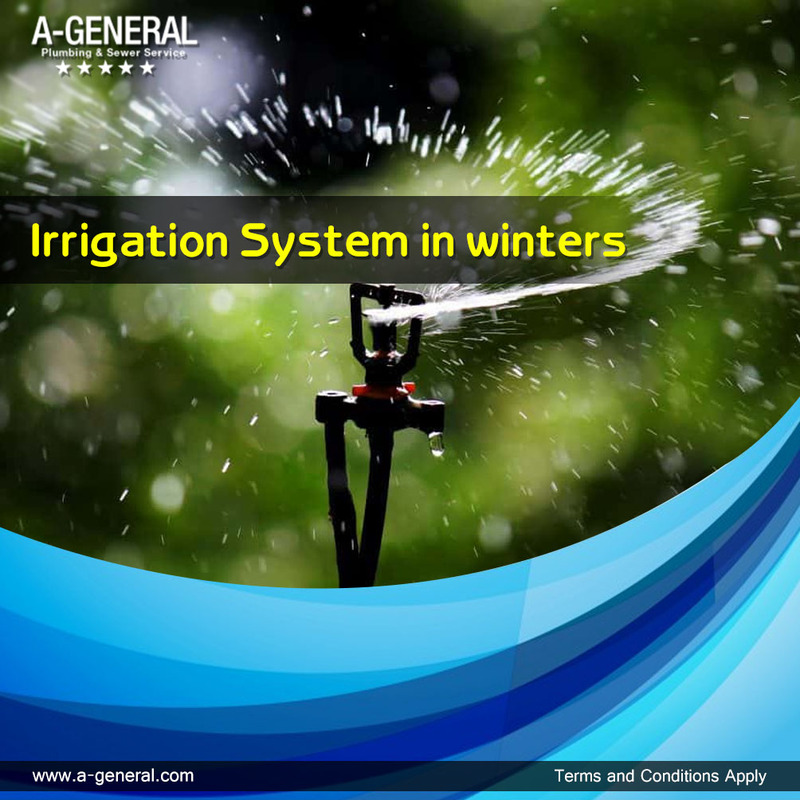 The important task when it comes to preparing for the winter, it to shut down and store irrigation system properly. This way you can prevent damaged equipment and plumbing leaks. However, it is necessary to get your plumbing issues repaired by local plumbing and sewer repair services. If you live in a cold part of the country, you must prevent water in your irrigation system from freezing. In future it can lead to winter plumbing leaks. It means that you need to remove all the water from any outdoor pipes and hoses as best you can. The first step would be to shut off valves, that lead to your outdoor areas and drain out the water that remains in the system. Next, shut down any automatic or electronic components of the sprinkler system. When everything will be shut down and drained, you can simply disconnect the hoses and break down the sprinkler system if possible. While checking the sprinkles. note that some sprinkler systems may require extra steps to drain and disassemble, like removing the back-flow preventer and using suppressed air to blow all the water out. Make sure you consult your system’s documentation for more precise directions if possible. Store all removable components in an area that is protected from the weather. If you still fell to adjust it take the help of commercial plumbing services for perfect solutions. In most of the irrigation systems, there will be components that would be exposed to the weather. To avoid frozen pipes, you need to insulate any parts of the plumbing system that are found outside the heated area of your home. Make sure that the pipes, faucets and above-ground sprinkler equipments are covered as it can’t be insulated with foam or tape. Any hardware store can have theses tapes. Later you should also leave the valves open on your hose hookups and other outdoor faucets. Water will not remain inside can escape in lieu of freezing and expanding. At the end when everything will be secured, stowed and insulated, it is necessary to check it oftenly on our system throughout the winter to make sure you haven’t sprung any plumbing leaks.